Logistics and supply-chain management topics. 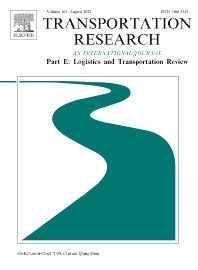 Part E's aims and scope are complementary to Transportation Research Part A: Policy and Practice, Part B: Methodological, Part C: Emerging Technologies, Part D: Transport and Environment and Part F: Traffic Psychology and Behaviour. The complete set forms the most cohesive and comprehensive reference of current research in transportation science.